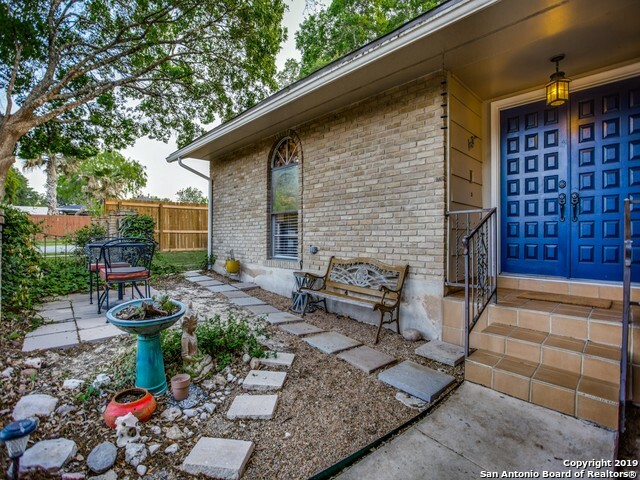 All NORTHERN HILLS homes currently listed for sale in San Antonio as of 04/22/2019 are shown below. You can change the search criteria at any time by pressing the 'Change Search' button below. "4 Bedroom 2 1/2 bath beauty located in desirable Northern Hills Community. NEAR THE GOLF COURSE! FORE!! *Master Bedroom Downstairs with an Oversized Master Shower*2 Living Areas*Granite Counter-tops in the Kitchen and bathrooms. 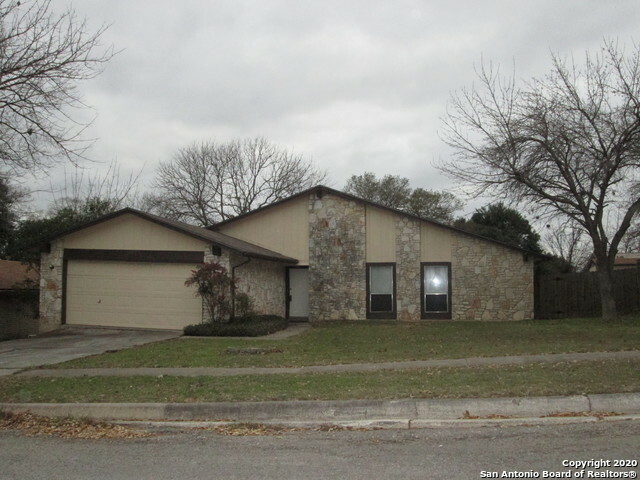 *Custom Wood Laminate Flooring*New Fixtures*Fireplace*Corner Lot*Spacious Bedrooms*2,860 sq ft* Close access to 1604, I-35, Wurzbach Parkway and McAllister Park. *Best rated North East Independent School District* Call now to schedule a showing." "Welcome home to this lovely cottage.So quaint, this home sits on almost 1/3 acre with lots of privacy in the backyard. Cathedral ceilings in great room.Floor plan flows beautifully with nicely sized secondary bedrooms.Master suite offers a stunningly updated master shower. Updated items include, new roof 2/2019, fence, fresh paint interior and exterior, granite in master bath, wet bar and kitchen, flooring throughout, refinished cabinets, lighting, entryway accent wall, plumbing fixtures and mor"
"Spacious 3 bedroom, 2.5 bath, situated on large tree covered corner lot.Open and versatile floor-plan.The enclosed front courtyard,double doors and Florida room are a few features that add character to this property. Beautiful wood like ceramic tile throughout main level and baths.Huge laundry room. All ceilings scraped &painted. Large storage shed on slab.Tons of updates since '17, including exterior paint and trim,roof, toilets, sinks, fixtures, appliances, water heater, fence, etc. Inside loo"
"This San Antonio one-story home offers a porch, a fireplace, a walk-in closet in the oversized master suite, and a two-car garage. Upgraded features include complete fresh interior paint." 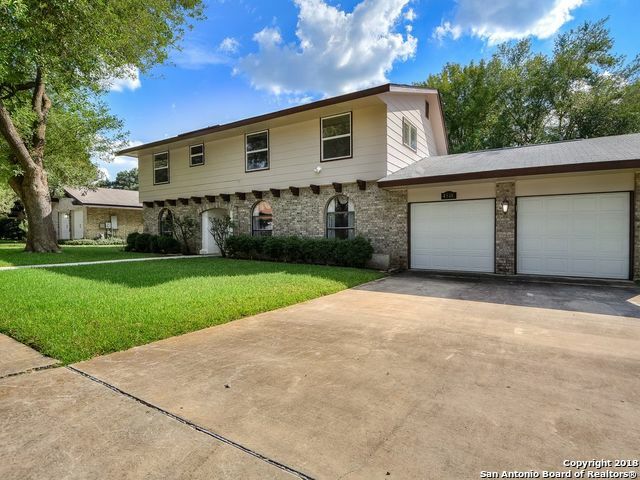 "Wonderful 3 bedroom 2 bath single story floor plan situated on large corner lot with side entry garage in NEISD. Home has updated flooring, granite counter tops, stone back splash, black appliances, massive floor to ceiling brick fireplace, huge 30 x 15 wood deck with an easterly orientation, great for making those summer evenings a little cooler. Conveniently located near major highways, area schools, and retail centers. Northern Hills Golf Club is within walking distance (1/2 mile)." "This one story house has a remodeled kitchen with new cabinets, granite counter-tops, stainless steel appliances, and light fixtures. Also, both baths have been updated as well as complete repainting of the exterior and interior. All new flooring in living areas, baths, and bedrooms. A new air conditioning system will be installed. The open floor home includes a game room and wet bar for entertaining. The home has large trees complementing the yard. 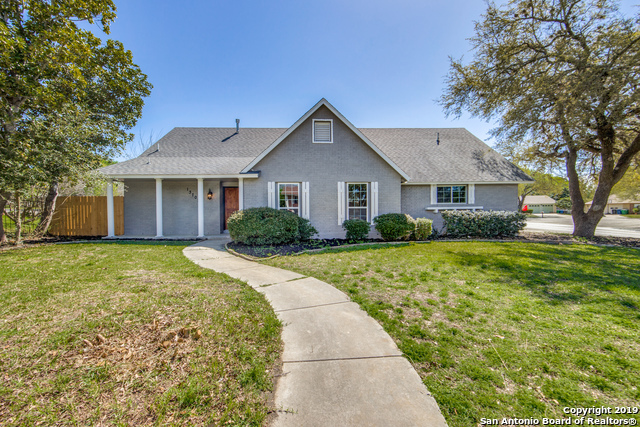 Neighborhood is near NEISD schools and "
"4-2.5-2 ON CUL-DE-SAC LOT LOCATED IN NORTHERN HILLS. NEISD SCHOOLS. EXTRA NICE HOME IN GREAT NEIGHBORHOOD THAT OFFERS GOLF, TENNIS, SWIM & COUNTRY CLUB. THIS HOME ALSO FEATURES A LARGE KITCHEN WITH TONS OF CABINETS & COUNTER SPACE, OPEN LIVING AREAS, BIG MASTER & MASTER CLOSET. 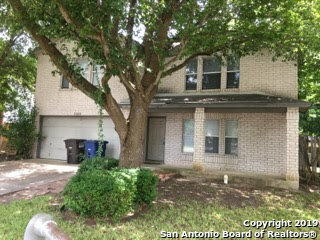 LOCATED CLOSE TO SHOPPING, DINING, AND EASY COMMUTE TO ANYWHERE IN SA!" 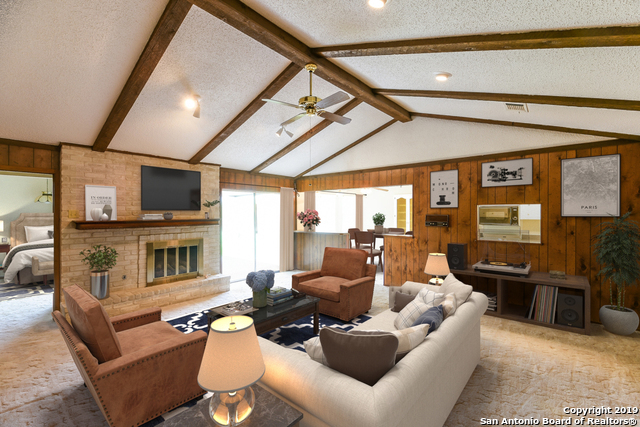 "This San Antonio two-story offers a fireplace, a kitchen pantry, a master suite, and a two-car garage. Upgraded features include a new water heater and fresh interior and exterior paint." "Ready for move-in! 3 bedroom, 2 bath, 2 living areas with separate dining room. Fans in all bedrooms. Large, private backyard with mature trees. Covered patio, 2-car garage"
"Beautiful 1 story home offers 3 bedrooms, 2 bathrooms & office/study. Gorgeous mature trees in both front & backyard. Open floor plan w/ vaulted ceilings throughout. Cozy living room w/ brick fireplace. Cute kitchen w/ ample cabinet/counter space. Spacious master bedroom w/ ceiling fan & lovely high ceilings. Master bath w/ vessel sink. Spacious secondary bedrooms w/ ceiling fans. Office w/ darling french doors. Backyard w/ big covered patio, shed, greenhouse, mature trees. This home is a must s"
"Gorgeous house that can be a starter or forever home! Garage converted into 4th bedroom. Come see this one, it won't last long!" "Overlooks the 6th Fairway! You'll never tire of the view from this 1-story, 2 bedroom, 2 bathroom charmer. 1314 square feet with open floor plan and high ceilings. Master bath with walk-in shower, double vanities walk-in closet. Roof, exterior painting and appliances 2019. Gaze at acres & acres of soothing green from your living room, dining room or covered patio. Private yard! Qualified buyers only please." "Investors- here is the property for you. This 3/2/2 one story home sits on .23 acre in the desirable Northern Hills golfing community. It has a rock fireplace w/gas lighter in the spacious family area, ceiling fans in each BR and Family Rm. The neighborhood has a voluntary HOA. Besides the city golf course, there is a clubhouse & pool." "VACANT- Attractive ONE(1) story home !! !Wow ---Super Price---$137,000. Kitchen: Double ovens and stainless steel stove top. Split bedroom arrangement. 2nd bedroom off of Family Room could be study. To be SOLD as is. This property may qualify for Seller Financing (Vendee). Property was built prior to 1978 and lead based paint may potentially exist. SELLER NOT ACCEPTING ANYMORE OFFERS AT THIS TIME."